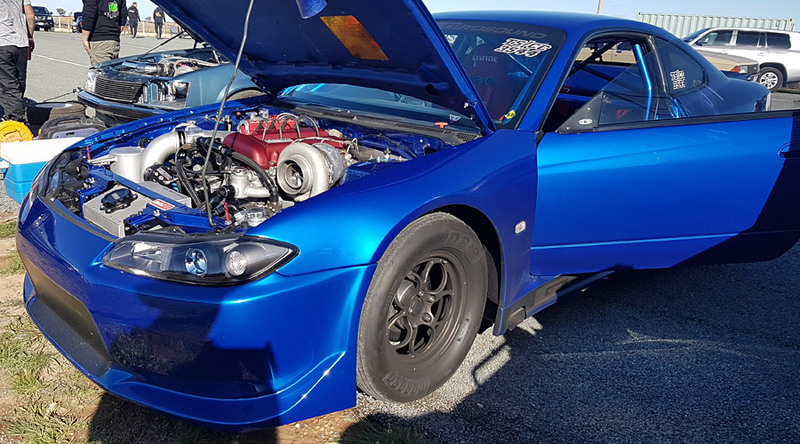 Around 18 months ago Theo Spartalis’s Nissan S15 dipped into the sevens going 7.96 @ 180mph in a stock chassis IRS Nissan still powered by an SR20 engine featuring an OEM block. 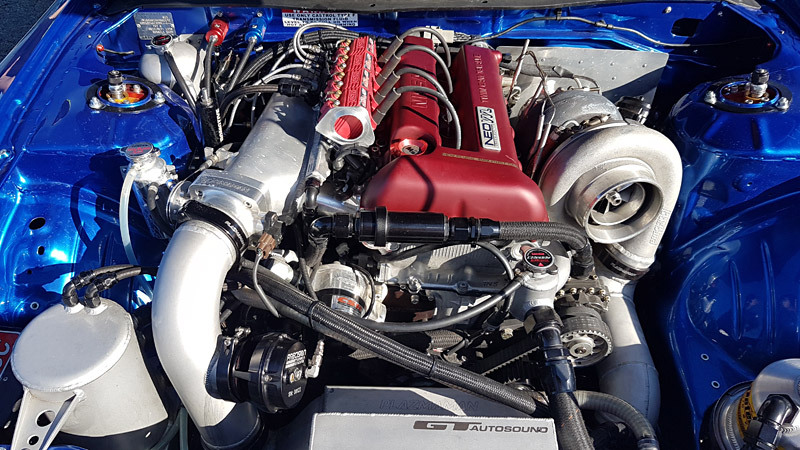 Keen to up the ante the GT Autosound crew headed to Swan Hill Dragway for further testing where the Nissan did nothing but continue to impress. 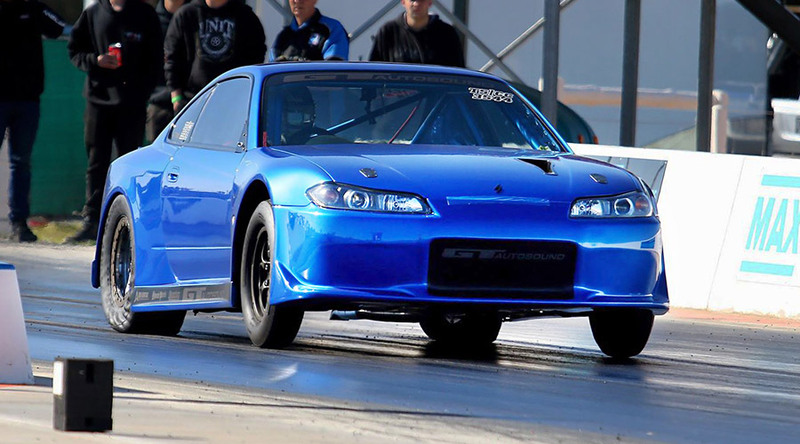 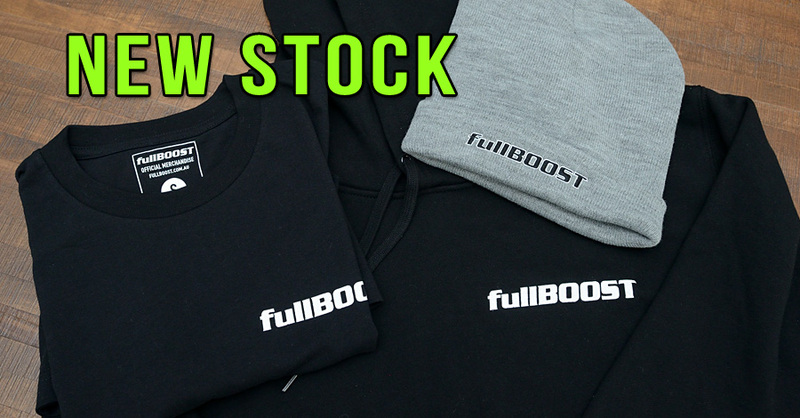 With over 60 full passes over the past couple of years the SR20 revs to 10500rpm making around 1400hp whilst putting power down through a drag radial tyre and an OEM Nissan GTR rear end.